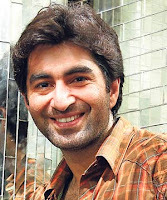 Jeet – one of the most popular, skillful Tollywood Actors in this period. The amazing acting skill, dancing skill & action stunts brought the prestigious ‘superstar’ crown to Jeet, whose real name ‘Jeetendra Madnani’. We have earlier informed you about actor Jeet’s Professional Life and now we will share few unknown facts about actor Jeet & few rare unseen photos of actor Jeet with you. Superstar actor of Bengal Jeet has shared few memorable incidents of his life after the release of his latest Bengali movie Awara. ‘Awara’ means people who cares for nothing & does whatever he/she want to do. Jeet recalled few incidents of his life where he did some Awaragiri during his early days. 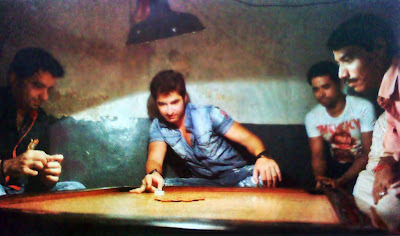 How many of you know that our beloved superstar actor Jeet is the Bengal Champion in Carom? Very few of us, actually knew that. Anyway, actor Jeet said he had done the most Awaragiri for playing & participating in various Carom Competitions across Bengal. He had travelled Burdwan, Nadia, Purulia & many other places to participate in Carom tournaments. Actor Jeet was the permanent member of Kalighat Games Corner of Kolkata, where he used to practice Carom regularly and in the year 1996 Jeer became Bengal Champion in Carom. 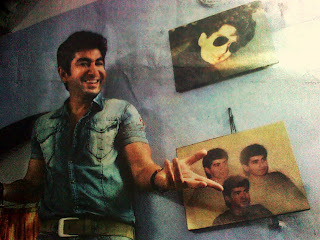 He always wanted to be a model / actor and thus one of his close friends had done the portfolio of Jeet for the first time. Actor Jeet still realize those days, when his friend took his snap at Victoria Memorial, Kolkata. Jeet first lived at Kalighat area and his Kalighat house is very near to Kalighat Temple. Because of Kalighat Temple, so many celebrities used to come there and Jeet with his friends had seen them during their early days. Jeet had went to Tarakeswar for consecutive 5 years with his friends – this shows how much he loves ‘Bhole Baba’. During the days at Kalighat, Jeet used to fly Kites as well. When Jeet got his first break in Bengali film Saathi directed by Director Haranath Chakraborty, he used to go to the shooting spot on his Bike. After that Jeet moved to Alipur House, but his awaragiri continues. Actor Jeet & his friend circle had regularly met during those days at the Udipi Home Food Shop located at Lake Road in Kolkata [25, Jatin Das Road, Kolkata-29]. The owner of Udipi Home of Lake Road, Raghu is the friend of Jeet, who loved to eat Idli & coffee. 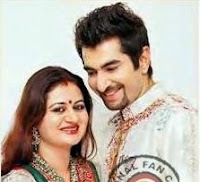 Actor Jeet for you: Jeet Life Details (Profile) and Details of Jeet's wife Mohna Ratlani. As per the source, Jeet is going to be a father & Mohna is going to be a Mother very soon. It is expected that around December, 2012 Jeet & Mohna will have their new member. Wish them good health & lots of love. Mohna Ratlani Jeet Actor Wife Profile Biodata Biography, Bengali Hero Actor Jeet wife Mohona Mohna Mohana personal Professional Educational life background Jeet Husband Mohna family (father mother sister brother husband boyfriend) Jeet’s wife Mohna Mohona photo picture wallpaper, home address mobile phone number Mohna Actor Jeet wife, Marriage party occasion ceremony anniversary Actor Jeet Mohna marry venue photo details. Bengali Cinema Actor Jeet Madnani, 32-years of Age, finally changed his marital status from Single (committed) to married. Yes, Lucknow based School Teacher Mohna Ratlani married Tollywood Hero Jeet on 24th February 2011 (Jeet-Mohna Marriage Date) at Wet Wild of Nicco Park Salt Lake Kolkata. On 26th February 2011, the Jeet-Mohna Marriage Reception Party was arranged at ITC Sonar Bangla where most of all Tollywood Celebrities were present like Dev, Subhashree, Raima Sen, Rituparna Sengupta, Saheb, Usha Utthup and many others. Actor Jeet and Teacher Mohna (Wife of Actor Jeet) were wearing the dresses designed by Shantanu Goenka and looked gorgeous. 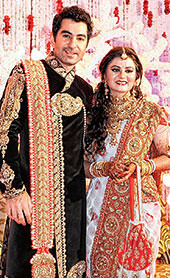 • Family of Mohna Ratlani Wife of Actor Jeet: Jeet's wife Mohna is a daughter of a businessman. • Hometown Address of Jeet’s Wife Mohona: Lucknow. • Recent Current Address of Jeet’s wife Mohana: New Alipore, South Kolkata. • Occupation Professional Life Background of Mohna Wife of Actor Jeet: School Teacher by profession. • First Dating Place of Jeet and Mohna: Actor Jeet’s first date with Mohna Ratlani was near the Swimming Pool of a star hotel in Lucknow.